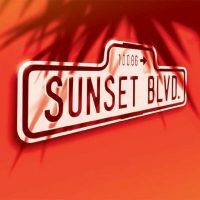 Sunset Boulevard is a compelling story of romance and obsession, based on Billy Wilder’s legendary film, with Don Black and Christopher Hampton’s wonderful book and lyrics. Harvard’s beloved blonde takes Yeadon Town Hall by pink storm in this fun, upbeat story of self-discovery. A fabulously fun international award-winning musical based on the adored movie, Legally Blonde The Musical, follows the transformation of Elle Woods as she tackles stereotypes, snobbery, and scandal in pursuit of her dreams. This action-packed musical explodes on the stage with memorable songs and dynamic dances. Equal parts hilarious and heart-warming warming, this musical is so much fun it should be illegal! A man with a boring life meets a woman who says she’s a spy. When he takes her home, she is murdered. Soon, a mysterious organization called “The 39 Steps” is hot on the man’s trail in a nationwide manhunt that climaxes in a death-defying finale! The 39 Steps amounts to an unforgettable evening of pure pleasure! "What an amazing company; better than any professional at the big theatres. Keep up the good work actors, stage crew, directors, and front of house!" 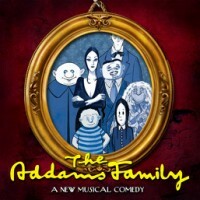 The Addams Family, Broadway’s smash hit family musical comedy brings the deliriously delightful world of Gomez, Morticia, Uncle Fester, Grandma, Wednesday, Pugsley and Lurch to spooky and spectacular life. "Brilliant opening night, BrassNeck doing The Addams Family, very talented cast. Well done everyone." 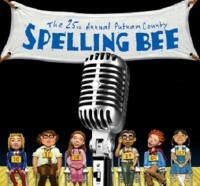 The 25th Annual Putnam County Spelling Bee is a hilarious tale of overachievers’ angst chronicling the experience of six adolescent outsiders vying for the spelling championship of a lifetime. "Another absolutely fantastic performance by BrassNeck last night. For a cast of 9 with one stage set, to have the ability to keep the audience hanging/laughing on your every word, shows huge huge talent. Everyone should enjoy a BrassNeck experience."